10 Jan 2019 – Dive! Dive! Dive! The DITs (divers in training) can finally call themselves certified divers. We woke up at the crack of dawn to embark on our last portion of the open water dive test. The previous morning, we put our skills to the test to prove we were capable of completing essential dive procedures. Today’s dives would give us confidence in venturing out on our own aquatic adventures. 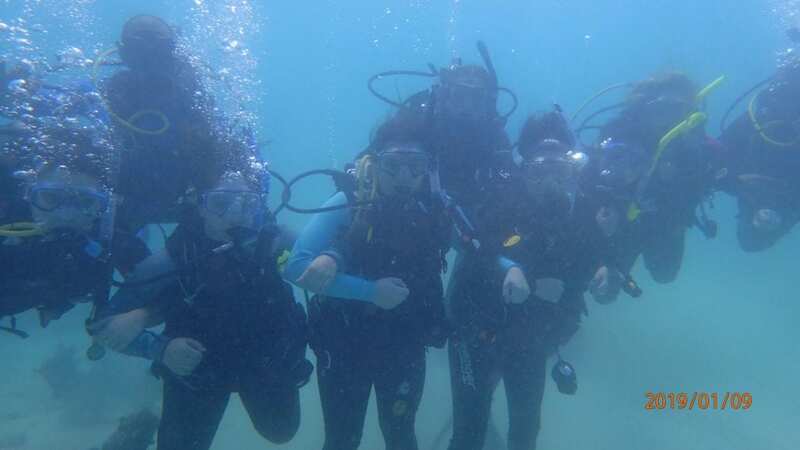 The dive instructors, Mr. Trench and Mr. Oneil, were pumped to get us out on the water to explore Eco-Reef. As we slowly descended to the depth of 60ft for the first time I spotted a Sand Diver. He tried to remain completely motionless as he watched the ten of us loom over him. The sand diver’s labored “breathing” was an indicator he was feeling quite uncomfortable with all of the attention. I can’t blame him, we should have told him we were dropping by. 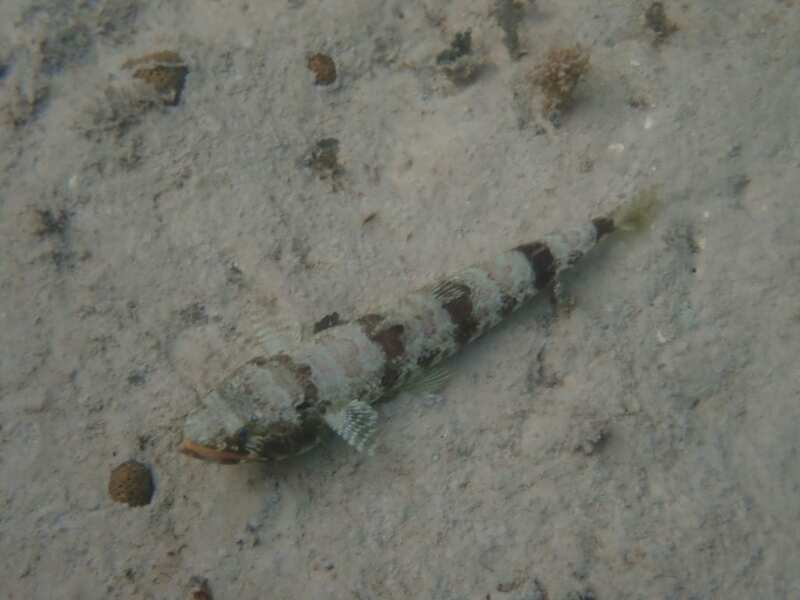 Photo of the Sand Diver (Synodus intermedius). We all succeeded in completing our certification and took a group photo at one of our safety stops. It was quite difficult to balance ourselves to stay still long enough for a photo. We must of looked like a bunch of teetering bowling pins. I am excited to encounter more tropical creatures on future SCUBA dives and put my certification to good use. Group photo of the DITs taken by O’Neil.